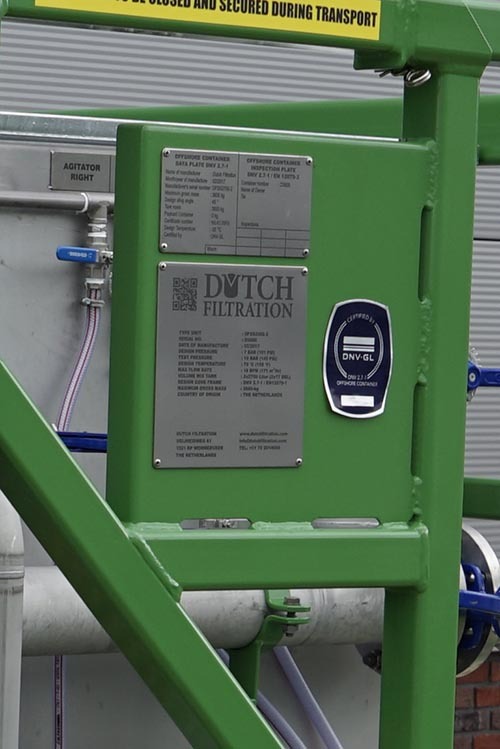 The Dutch Filtration dual mixing slurry skid is a complete unit for pre-coating and body feed of the filter press . 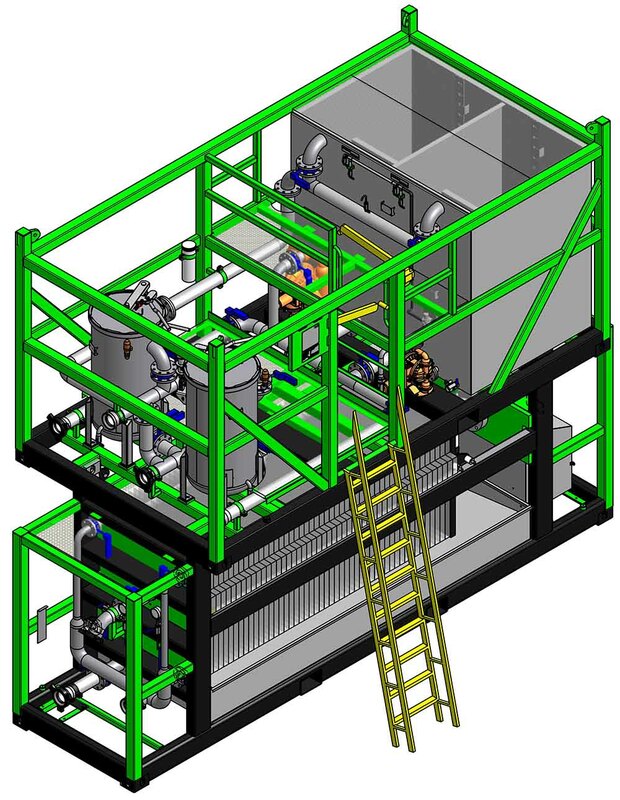 The unit is complete with 2 mixing tanks both 16 BBL/ 2.3 m3, air driven pre-coat and body feed pump. 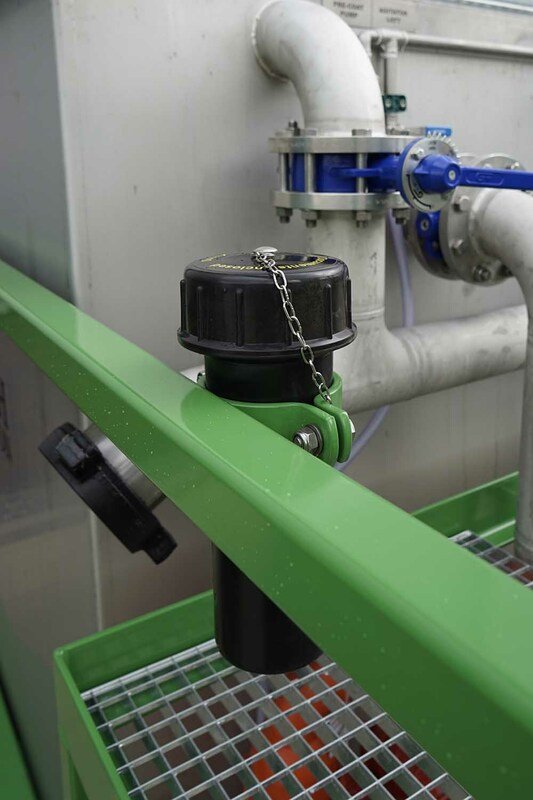 The frame is equipped with a working platform for safe and easy adding filter aid (DE media) into the mix tanks. 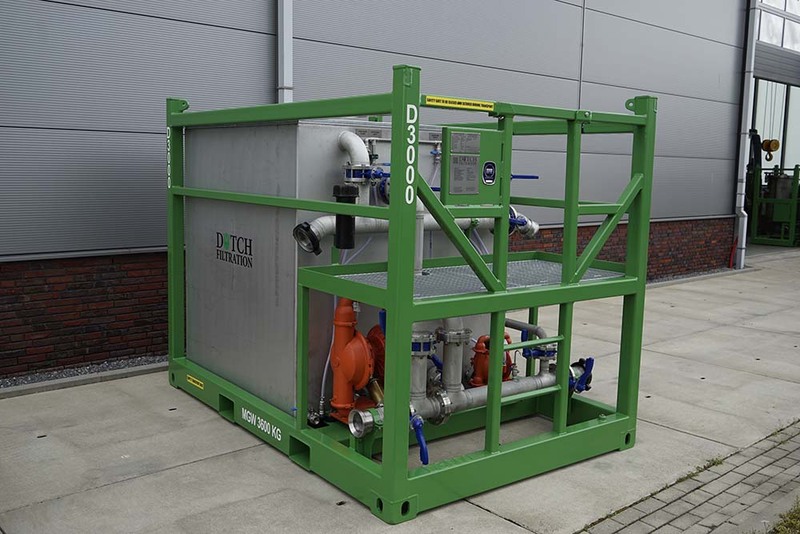 For an even more compact footprint for your complete equipment skid, it is possible to combine the slurry skid and dual vessel filter skid in one stackable skid. 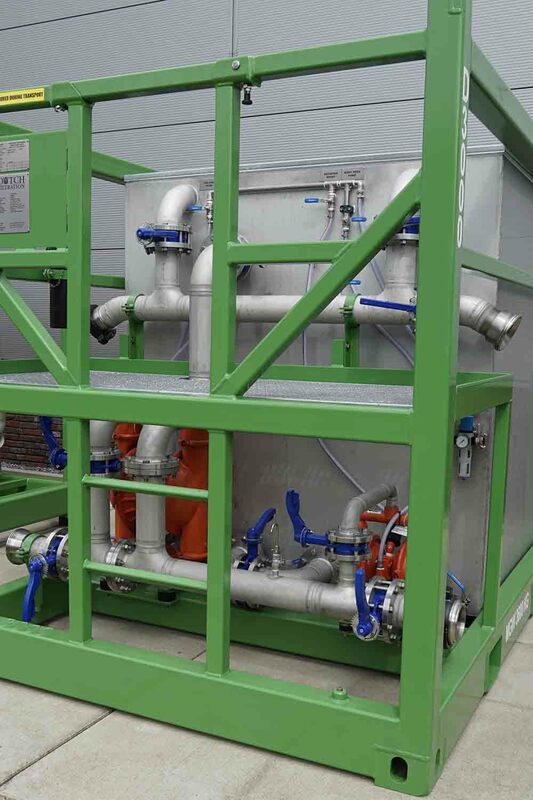 This skid can be placed on a filter press. 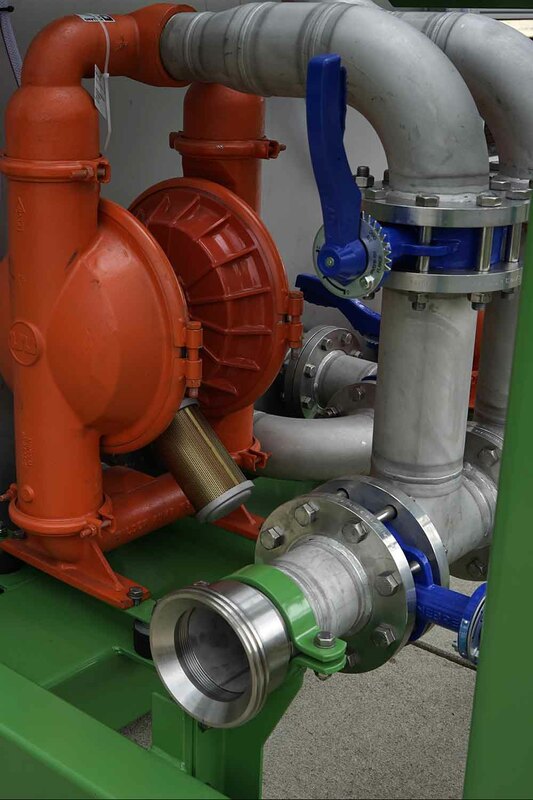 The two compartments of the slurry skid can operate separately.